– Exposition dump via sales pitch at the beginning of the movie – usually a bad thing, but in a complicated story like this, getting your premise out of the way as quickly and painlessly as possible is important. The reason for this is that motivating scenes (any kind of buildup in which the character is getting ready to act) slow the story down. The place for this is not at the beginning of a story (usually). The beginning of stories should be immediate and charged with some kind of conflict. If the premise can be explained by a series of events rather than one or two character monologues, do it. Give us backstory, but do it in passing. Christopher Nolan does this with a dazzling combination of special effects and snappy dialogue in Inception. – Nolan does a pretty good job balancing his audience’s need for enough information to keep up with the breakneck pace of the story versus their desire to see pretty stuff like imploding buildings in slow motion and other strong imagery. This was undoubtably a difficult task, given the complexity of the movie’s narrative. – I’m a big fan of Leonardo di Caprio, mostly because I think he picks awesome films that don’t get the credit they deserve, like What’s Eating Gilbert Grape? and The Beach, just to name a few. (The novel of the same name by Alex Garland is inevitably better of course.) I’m a big fan of Ellen Page for the same reason – both of them did a fantastic job in this movie. 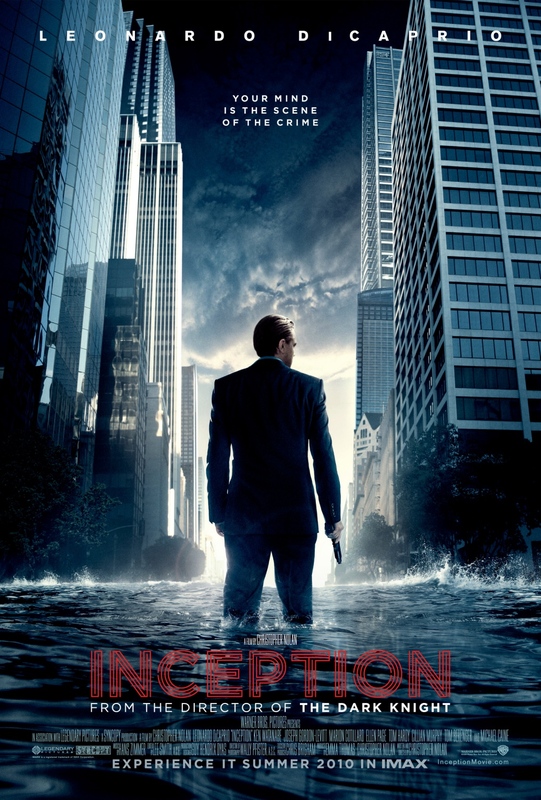 Verdict: High octane action, a great original premise, and special effects that are out of this world make Inception a sure bet. My only complaint would be that the story was so complex, it’s not really a movie you’d want to watch while doing something else. It would be easy to get lost. 4 out of 5 salt shakes. I went out to see this on Saturday, myself. I enjoyed it! I was thoroughly entertained the entire time, which says a lot for a three-hour movie. (And I’m finding I also like Ellen Page; DiCaprio I’ve always appreciated.) The friend who strongly recommended I see it was someone to whom I recommended Jedediah Berry’s The Manual of Detection, and he mentioned that the nested/monitored-dream phenomenon was central in Inception as well. Something I admired so much in Berry’s book was its noir surrealism, and so I came to the movie expecting something more, well, realistically dreamlike? I don’t want to spoil anything for anyone who hasn’t seen it yet (and, really, there’s so much to like about it that this is an extremely minor point [but if you’re a spoiler purist, stop reading right here]). That’s my sole complaint. And, really, it’s nitpickery. It’s a great movie. 4 out of 5 salt shakes sounds just right to me. A second viewing made me really appreciate how original the premise of Inception was. I’m like you, I wish that the dream sequences were a little more surreal (like the kind of things they pull in The Cell) but it was still one of the better movies I’ve seen lately.